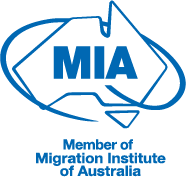 In our experience, most prospective immigrants already have a network in Australian of already settled friends and family. Even if you don’t have an immediate circle of contacts that you can call on, think a little out of box like past clients or customers, colleagues in your industry etc. Almost always there will be someone that you will know who has already settled in your chosen Australian destination. One thing’s for sure settled immigrants are always willing to help newcomers – it’s part of the migrant “pay it forward’ philosophy. So spread the news of your move to family, friends and colleagues – use all your social media channels, from Facebook to Twitter to Google+. Find friends living in Australia, and see if anyone can put you in touch with more Australian contacts. It’s often said that the South African and Australian cultures are very similar, which is why so many South Africans are drawn to Australia. While this, for the most part, is true it can be daunting taking on a new job in new country. Even if you are very knowledgeable of your industry, the unfamiliar surroundings can be quite overwhelming especially at the start. This can often make one doubt their knowledge and skills in the first few weeks and months. To make those first months in the new job far less stressful its extremely advisable that your research your industry in Australia to have a clear understanding of any differences to South Africa. The more you read, the more you’ll understand where your skills fit in the Australian market and how they are applied. To familiarise yourself, work out which industry and companies you might like to work for and then, as best you can, study the approaches, philosophies and practical techniques applied in the Australian industry before job hunting. Arguably the most critical aspect to finding a job, especially for the first time, in the Australian market is having a resume or CV that is in line with the Australian format. The “Australian styled’ CV is quite specific and very different to what is considered the norm in South Africa. The benefit to converting your CV cannot be overstated. Without doing it you could possibly go months without finding a job and not even truly know why. The Pathway relocation team is vastly experience in Australian CV writing and foreign CV conversion, which is a free service we provide to our newly signed visa application clients. So, if you’re looking at getting a job in Australia contact us today for more information. According to Australian social media statistics taken in January 2017, 3.6 million people in Australia use LinkedIn. That makes it bigger than Twitter, TripAdvisor or even WhatsApp. To say that the correct structuring and running of your LinkedIn profile will assist you in getting a job in Australia would be an extreme understatement. Most importantly in the setting up of your LinkedIn profile connecting with numerous contacts and recruiters in your industry. Through making those connections, your new contact may very well check out your profile, possibly sparking an interest in meeting with you. Be rest assured when looking for a job in Australia your LinkedIn profile will always be looked at by prospective employers or recruiters. Consequently, having a well-designed and managed LinkedIn profile could very well be the key to finding a job in Australia. Australia has an unemployment rate bordering at about 5% nationally. This is very low by South African standards. Given that statistic it’s clear that if you take the correct steps, remain patient and do not expect to land the “dream job” first up, you are pretty much certain to find a job in Australia. The low unemployment rate is also a clear indication that the industry related to finding a job for job seekers, especially newly arrived migrants, is flourishing. Recruitment is an immense industry in Australia - it's vitally important that you get well acquainted with the the best recruiters in your industry. Because of the size of the Australian job seeking market, there are also numerous sizeable employment websites you could explore in finding the right job for you. Some of the more well-known employment websites are SEEK, Australian JobSearch, CareerOne, Indeed. These and many more are continuously updated by both recruiters and prospective employers with new and fresh job ads. The key is not too look at ads that are older than a week or two as generally those would in all probability have already been taken up in that time. During your Australian job seeking process you will continuously hear about the need for “Australian experience”. As much foreign experience as you may have and as similar as you might think your industry back home is, a lack of real Australian working experience is almost always a stumbling block to a recently arrived migrant. The fact is that only once you have gained genuine, on the ground, Australian working experience will you be able to really start finding the dream Australian job. But there are ways to improve your chances. Firstly, be prepared to take a step back. And don’t feel bad about it. Given your immediate lack of Australian work experience it is very unlikely that you will land a like for like job or position similar to that which you held in South Africa. What’s most important this that you start building that Australian experience as quickly as possible, even if that means at a level lower than you’re used to. Another way to boost the Australian work experience element in your CV while you’re still looking for a job is to do voluntary work in your industry. Yes, for free. In our experience acquiring Australian experience suitable for job seeking purposes is not really about the manner its acquired but rather just that you have it. A few weeks voluntary work will set you miles apart from another migrant applicant who has nothing at all. So, if you’re a lawyer, do some advising work at the local community centre, if you’re nurse ask if you could help out at a school bay and the like. Also, this kind of community service is very highly looked upon by Australian business. So good luck, we have no doubt if you make use of these tips you will be receiving your first paycheck in Australia in no time at all. Older PostI want to know how to immigrate to Australia – where should I start?